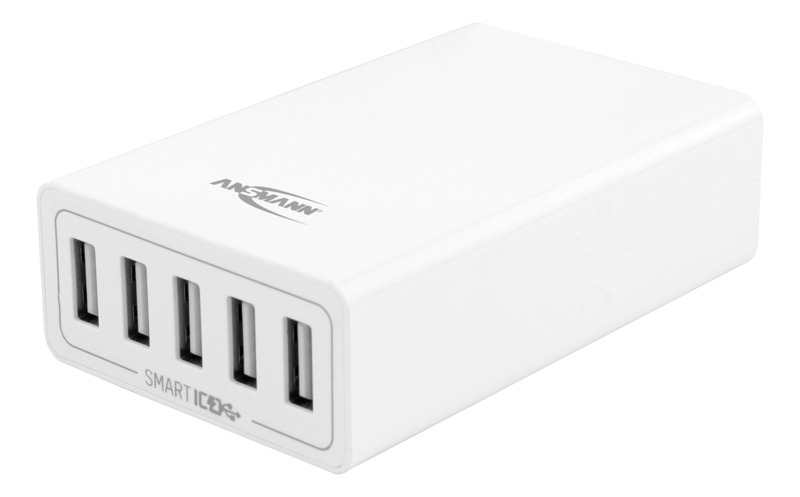 The intelligent USB charger from ANSMANN is a compact and space-saving universal charger with five USB ports. It is suitable for all devices that can be charged via USB. 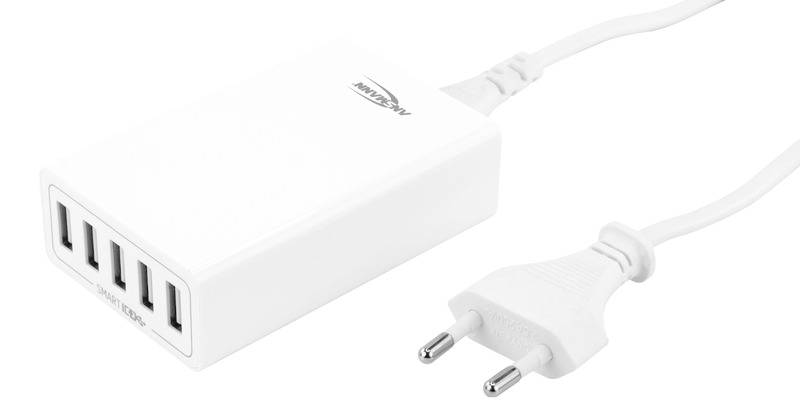 Thanks to its very low stand-by consumption in comparison to other USB chargers, the intelligent high-speed USB charger is not only efficient but is also economical. The automatic control of the output voltage and current protects the end-device as well as the charger itself from overloads and short-circuits. The device has intelligent charge control that automatically detects the end device connected and uses the optimum charge current for it. 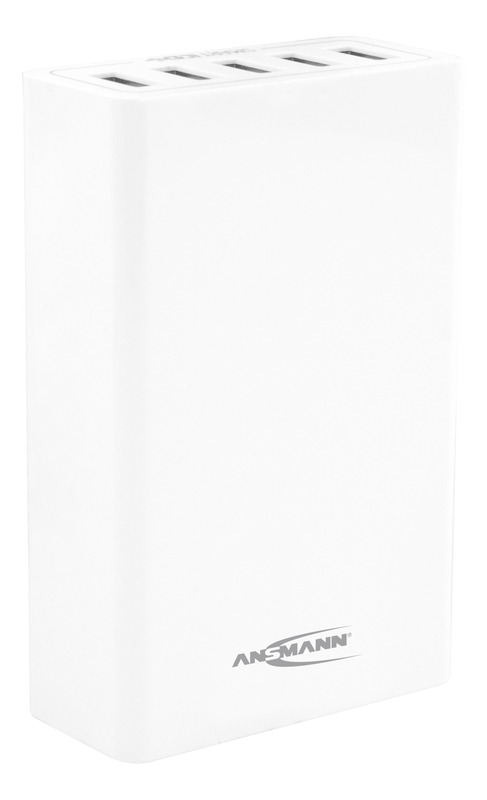 This ensures that the end device is automatically charged as quickly as possible.